A 46-year-old sanitation worker was struck by a construction van causing severe leg injuries requiring multiple surgeries. The firm was able to prove that the van driver was 100 percent at fault for causing the accident. Initial settlement offers of one, two, and three million dollars were rejected at mediation. Thereafter, the case settled just prior to jury selection. A 37-year-old Local Union 3, IBEW electrician was caused to slip and fall due to a snow and ice covered work surface. He injured his shoulder and neck requiring surgery for both. He did not return to work after the accident. The case settled on the eve of trial for $4,000,000, after an unsuccessful mediation where only $1,000,000 was offered. The defendant’s examining physicians and experts opined that the electrician could return to work, thus offsetting the loss of earning claim. A 31-year-old delivery person from Suffolk County was struck in the back by a forklift at a local airport. Mark was able to obtain a video surveillance tape showing the actual accident. Armed with the video, Mark was able to get a court order determining that the accident was 100% the fault of the forklift operator. The delivery person was unable to return to work due to back and neck injuries that required surgery. The case was settled at mediation. A 41-year-old construction worker fell from a dangerous scaffold sustaining injuries to his spine requiring surgery. Mark was able to obtain a court order determining that the general contractor was 100 percent at fault for the accident. A 44-year-old laborer performing HVAC duct demolition was caused to fall from an unsecured ladder after the ductwork fell onto him. He struck his head on the ground and passed away the next day without regaining consciousness. He left behind a wife and 2 children. An offer of $1.5 million was rejected at a mediation. The case was eventually settled after a jury was selected. There were issues about how large of a jury award could be upheld in this case. This is because there was little proof that the worker endured conscious pain and suffering, and his tax returns over several years reflected very low earnings. If either of these situations were different, the settlement would have been even larger. A 35-year-old sheet rock installer was caused to fall from a dangerous scaffold on a Huntington job site. As a result, he sustained a serious leg injury, which required surgery. Mark was able to get a court order determining that the general contractor/owner was 100 percent at fault for the accident. The case settled at mediation just prior to trial. Doctor failed to diagnose a child's condition in a timely fashion. The plaintiff in this case had a history of unexplained swelling under his arms. In fact, he underwent a biopsy at age three for swelling on his right side. The biopsy was negative for lymphoma, and the doctor concluded nothing was wrong. The plaintiff returned to the doctor's office in 1992 with a similar swelling, this time under the left armpit. An x-ray and consultation with the physician who did the previous biopsy were performed. All indications were negative and no follow-up was recommended. Two years later the child returned with an unexplained mass under the left armpit. This time the plaintiff was diagnosed with Stage III-A Hodgkin's disease. The patient underwent a first round of chemotherapy, which was ineffective. The plaintiff then underwent a second round of more intensive therapy, which resulted in the remission of the cancer, but also rendered the patient sterile. The plaintiff contended that had he been diagnosed with the disease when he had first visited the doctor in 1992 the disease would only have been at stage one, and therefore would not have required such intensive treatment. The defendant denied that there was anything he could have done earlier than he did, since there were no definitive test results to act upon. The firm was able to provide enough evidence for the jury to see that the plaintiff was in fact due multimillion-dollar compensation for medical expenses, injury, and lost wage compensation. The firm settled this Nassau County venue case with a cash payout of $1,500,000 and a total payout of over $2.7 million for a client who was badly injured in an automobile accident. After suffering multiple fractures of the foot, leg, and face, and undergoing multiple surgeries, physical therapy, and various types of medical treatment, the 38-year-old plaintiff was left with a limp and limited mobility. He was ultimately fired since he was unable to fulfill his job duties. While the defendant denied any contact with the plaintiff's car, the firm established the collision did occur by presenting evidence of paint from the defendant's car on the plaintiff's car. This case settled prior to trial. A 53-year-old surgeon injured his wrist in a car accident, requiring surgery. During extensive depositions, Mark was able to learn that the at-fault driver was driving his car for his employer at the time of the accident. This allowed Mark to add the employer into the action, which provided millions more in insurance coverage leading to this settlement. The firm helped a Spanish-speaking woman from Queens win a multimillion-dollar settlement after she was injured, and her 10-year old son killed, as she crossed the street at a stoplight while walking the child to school. The defendant's attorneys tried to claim that the plaintiff was partially to blame for the accident, since she testified in her deposition that she did not see the bus coming. Defendant's counsel also tried to claim that the plaintiff was not eligible to be awarded compensation for lost wages. First, since she was currently employed as a nanny making only $250 per week, lost wages would not be significant. Next, the defense reasoned that the $2,500,000 the defendant potentially would have earned as a nurse was trained as a nurse in her native Paraguay) should not be awarded, since the defendant would not realistically be able to find work in this country due to her illegal immigration status, and the fact that she only spoke Spanish. The firm argued successfully against these allegations, and additionally, that the mother will suffer permanent psychological damage from the trauma, allowing the case to settle for $2,000,000 prior to opening statements. Mark's office was able to help the family of a 32-year-old mother of three in a case against a surgeon and a hospital. In this case the plaintiff went to the emergency room complaining of severe abdominal pain. She was diagnosed with food poisoning and sent home. Two days later she returned and exploratory surgery was performed. A blood clot was found on an artery in the bowel, requiring that the patient have her bowel resectioned, and an ileostomy performed (a procedure to attach a temporary device which allows waste to bypass the reconstructed part of the bowel while it heals). The next day another surgery was performed, the ileostomy removed, and the bowel reconnected. The patient remained hospitalized and required two additional surgeries for bowel obstruction. The patient died about eight weeks after surgery. The plaintiff's husband contended that she should have been admitted the first time she went to the emergency room and that the ileostomy was removed prematurely. The case was settled prior to jury selection. $1,575,000 verdict after trial for plaintiffs caught in a harrowing elevator drop. In this case, litigated pre-trial by Mark Freeley, a 39-year-old social worker and a retired senior citizen were taking the elevator in a Bronx courthouse when the elevator suddenly dropped in free fall for about four floors, ending in an abrupt stop. The passengers both incurred serious knee and joint injury. Fractures and lesions of the kneecap, requiring arthroscopic surgery and potential future knee replacement surgery, were results from the fall in the case of the younger woman. In addition, the younger plaintiff was partially disabled and not able to return to her former profession. For the retiree, knee replacement surgery of the right knee, with potential need for similar surgery on the left, was required after aggravation of an existing osteoarthritis condition resulted from the incident. 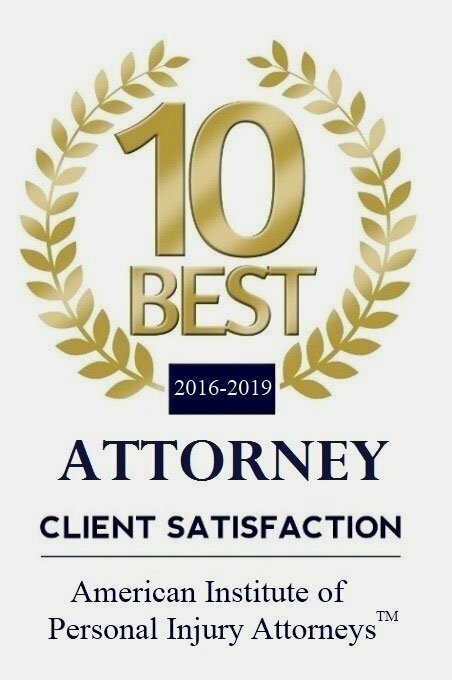 The case went to verdict and after the verdict the firm was able to settle the case for $1.1 million for the younger woman, with an additional $10,000 for her husband due to loss of services, and $465,000 for the older plaintiff. A one million dollar offer was rejected prior to summations. Doctor causes surgical complications in medical malpractice case. The firm was able to help the family of a 48-year-old hairdresser recover a sizable award from the doctor who was accused of causing a fatal complication during surgery. While performing abdominal surgery on the plaintiff the surgeon perforated the woman's small intestine. Due to the resulting hole in the woman's intestine the patient developed peritonitis, a serious infection. Despite additional surgery to correct the situation and massive doses of antibiotics, the woman's situation worsened. She developed sepsis, or blood poisoning, and died less than a month after the initial surgery. Despite the surgeon's contention that he was not responsible for the perforation (he maintained that it was a spontaneous event occurring after surgery) and that the plaintiff was suffering from pneumonia and common pelvic inflammatory disease, which instead could have contributed to her death, the case settled for one and a half million dollars. A 36-year-old Glen Cove nurse was ultimately dismissed from her job due to back injuries sustained when a rental car slammed into the back of her car while she was stopped at a red light. Although she attempted to return to work shortly after the accident, her injuries eventually required back surgery and she was unable to keep up her work activities at the level maintained before the accident. Mark Freeley obtained summary judgment on liability prior to jury selection so that the only issue remaining at trial was the amount of damages. The firm was able to recover damages for injury and future lost wages. A 25-year-old laborer fell from an unsecured ladder during the construction of a new home in Southampton. As a result of the fall, he sustained a serious leg injury requiring surgery. The case was settled at mediation prior to trial. The firm was able to settle a case for a 39-year-old painter who fell off a scaffold that collapsed under him while on a job in Coney Island. The plaintiff sustained injury to his knee, requiring arthroscopic surgery, and suffered injuries to his spine. A blow to his head resulted in a concussion. The firm was able to maintain the value of the plaintiff's projection for lost earnings, even after the judge struck the expert witness' testimony for lack of factual basis for the claim—since the client had a poor work history. The case was settled after the trial but before the verdict. The only issue at trial was the amount of damages, as Mark Freeley had obtained summary judgment on liability prior to trial. After a fall from an unsecured ladder caused a fractured kneecap, the need for surgery, and resulting permanent disfigurement, a 38-year-old New York City ironworker realized a $1.25 million dollar settlement for injury and compensation for future lost wages. Mark Freeley obtained summary judgment on liability against the owner and contractor prior to trial so that only the issue of damages was before the jury. The firm was able to settle the case in the middle of the trial, additionally obtaining a waiver of a $67,000 workers’ compensation lien for his client. The claimant returned to his job after the injury. Settlement reached after prior $650,000 mediation settlement expired. After Mark Freeley won summary judgment on liability prior to trial, the firm was able to settle a case for cash for a Manhattan security system installer who fell off a ladder while on the job. The worker sustained back injuries requiring spinal fusion surgery. Defendant alleged that the accident never happened, since there were no witnesses, and the plaintiff did not come forward with an injury claim until a few days after the incident. They claimed his back condition was pre-existing. Another major point of contention in the case involved questions about who had provided the worker the ladder, and therefore who was responsible for any limitations in the equipment that may have contributed to the fall. The case settled for $650,000 at mediation but was subject to the insurance carrier's approval. When the carrier refused, the settlement expired. The defendant's liability was upheld on appeal and the case demand was raised to $1.5 million. In addition to the cash settlement of $1,000,000, the defendant won the waiver of a $110,000 worker's compensation lien. The case was settled after opening statements at trial. In this labor law action litigated by Mark Freeley a 38-year-old steamfitter was awarded $1,000,000 in settlement for falling five feet off a wood plank used in place of scaffolding as he was installing a sprinkler system in Manhattan. The plaintiff sprained both ankles and sustained a chip fracture of one ankle. He was not able to return to work as a steamfitter. The defense argued at trial that the claimant's injuries were minor and pre-existing. At trial it was argued that the contractor was negligent in not providing suitable scaffolding, the plaintiff's injuries were sustained as a result of laboring in this unsafe work environment, and were not pre-existing. The contractor's insurance agent was also found partly responsible for not purchasing the appropriate type of insurance for its client, and therefore paid 25% of the settlement. The case settled before summations at trial, after two weeks of testimony. This client was a passenger in her friend's vehicle, which was involved in a sideswipe accident with a Fed Ex truck. She underwent arthroscopy for a shoulder tear and eventually microsurgery for a herniated disc in her back. She returned to work for about one (1) year before undergoing back surgery and eventually returned to her position with the Postal Service. Mark Freeley was able to settle her case at mediation prior to trial for $925,000.00. In another Labor Law action litigated by Mark Freeley, a 58-year-old laborer who earned $500 per week fell from a scaffold during construction of a new building. He was caused to fall due to a lack of safety railing on the scaffold, in violation of Labor Law Section 240(1). The client sustained a fracture of his wrist requiring multiple surgeries to correct the fracture. This labor law action litigated by Mark Freeley was settled at mediation for $700,000 in addition to a waiver of a $90,000 worker's compensation lien. The plaintiff, a 53-year-old steamfitter, slipped and fell in a puddle of water at a construction site. As a result of the fall he re-injured his lower back. Prior to the accident the plaintiff had injured his neck and back and had undergone spine surgery for both. Plaintiff claimed an aggravation of the prior injury requiring an additional surgery. Plaintiff also claimed an inability to work. The defendants claimed that at least half of the plaintiff's disability was due to prior injuries. Defendants also claimed that plaintiff was aware of the puddle and should have avoided it. 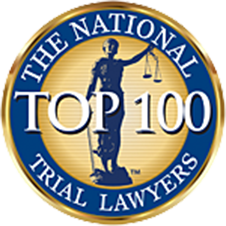 In a case that settled prior to jury selection, the firm was able to reach a significant settlement in the case of an 11-year-old boy attacked by Rottweilers while playing with friends at a Queens park. The dogs escaped from a nearby yard enclosed by a chain link fence and bit the boy repeatedly about the body. In an intense rescue effort, it took three grown men—including an off-duty police officer—10 minutes to save the boy from the attacking dogs. After nine days of hospitalization and treatment including stitches, tetanus shots, rabies shots, and psychological counseling, the boy remained traumatized and retains a large z-shaped scar. One of the dogs was shot and killed by a police officer at the scene and the other was put to sleep by the ASPCA. The firm was prepared to call witnesses who lived near the defendant and could testify to the violent nature of the dogs. The case settled for a $600,000 structured settlement, ultimately worth $1.3 million. This is one of the largest reported "dog bite" cases in New York. Mark Freeley was able to settle this Nassau County case at mediation for a cash value of $575,000 with a total payout of approximately $1.1 million. The 19-year-old plaintiff was driving her car when she was struck by a limousine that failed to stop at a stop sign. The plaintiff's airbag deployed causing a fracture of both wrists. Mark was able to obtain summary judgment on liability against the defendant, so that the only issue was damages. Despite having to undergo surgery for the wrist fractures, the plaintiff made an excellent recovery with minimal residual problems. Mark Freeley was able to settle this fall from a ladder case for $500,000 at mediation. The plaintiff, a painter, fell off an unstable ladder and sustained a calcaneal fracture requiring surgery. Mark litigated this action under the New York State Labor Law Section 240(1), which provides special protection to workers working at a height. Mark Freeley settled this Suffolk County case at mediation for a cash value of $317,000 and a total payout of about $509,000. Plaintiff claimed that the defendant failed to stop at a stop sign. The defendant claimed he did not have a stop sign and that plaintiff crossed over into his lane. After surgery, the plaintiff's leg healed completely and he was able to return to his same job. *Prior success is not a guarantee of future results.